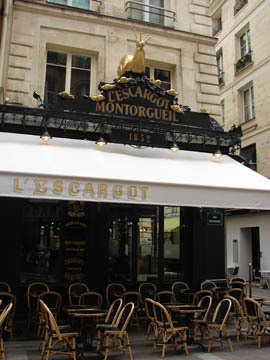 It’s a cliche for sure, but escargots (snails) really are a staple of French cuisine, usually served as an appetizer. And although it was initially difficult for me to eat them, I’ve become quite a fan – particularly when they’re cooked with garlic butter and fresh parsley. You can get them at any Paris bistro, brasserie or restaurant that serves traditional French fare. But if you’re interested in making a meal of snails, head to L’Escargots Montorgueil at the base of the fantastic market street Rue Montorgueil. 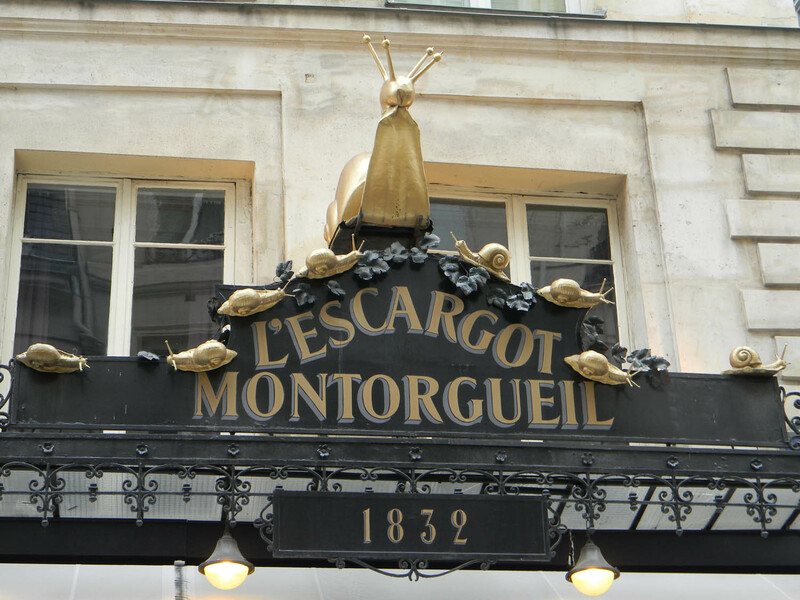 The 182-year-old restaurant has specialized in escargots since its founding, and serves up snails in more ways that you can possibly imagine. It ain’t cheap, though; expect to spend upwards of $70 for three courses. Still, the place is an institution, and if you’re going to splurge, you might as well do so at a storied Parisian eatery and on a classic French culinary staple. This entry was posted in Food, French cuisine, Restaurants, Rue Montogueil and tagged classic French dishes, escargots, food, L'Escargots Montorgueil, Rue Montogueil, snails by Bob Adams. Bookmark the permalink.